Our company direct supply water collection tanks, please contact order. 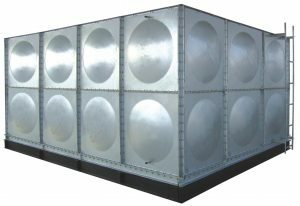 Technical instructions for assembling and welding of stainless steel reinforcement for assembled tanks. Stamping plate technology, and so on after-sales service. Water collection tanks of the standard size: stainless steel water tank molded plate standard specifications for the 1000— 1000 mm, 1000— 500 mm, 500— 500 mm three specifications. Unique and reasonable structure: high-strength stamping plate and the box evenly distributed stainless steel pull plate to make the pressure evenly and rationally. Convenient construction: international standard stamping plate, free assembly, on-site assembly and welding, element leakage phenomenon, 1 m cubic meters to 5000 cubic meters free combination without lifting equipment. Box light and beautiful: high-quality stamping process, both to ensure maximum load-bearing needs of the box, but also reduces the material to meet the aesthetic and practical requirements of the box. 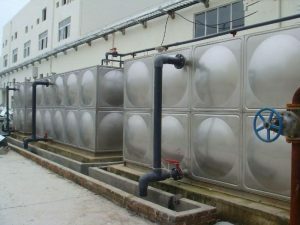 The health indicators of water tanks in line with national industry standards, through health inspection and quarantine. The main body does not rust, not long micro-organisms, will not leak, to ensure that water is not the secondary pollution of heavy metals. Our products are cheap, excellent service.